Home » national news » Kejriwal's 5 easy steps to trap Modi in a degree mess. And it worked! Kejriwal's 5 easy steps to trap Modi in a degree mess. And it worked! In what can be termed as an attempt to put an end to all the controversies surrounding Prime Minister Narendra Modi's educational degrees, President of the Bharatiya Janata Party Amit Shah and Finance Minister Arun Jaitley made all the details of the Prime Minister's educational qualifications public on 9 May. 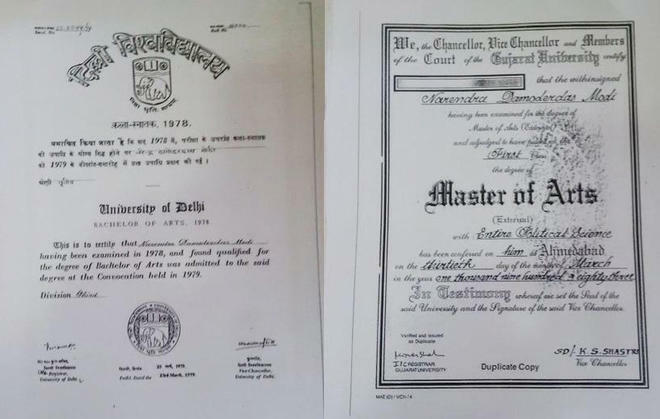 Shah released the original degrees of the PM - an undergraduate degree from Delhi University and a Masters degree from Gujarat University. BJP's top brass also went on to demand an apology from Delhi Chief Minister Arvind Kejriwal for making false allegations against the Prime Minister. Very soon, the Aam Aadmi Party held a press conference to state that the degrees released by the BJP members were fake. 1. The name in the graduation degree is "Narendra Kumar Damodar Das" while the MA degree shows "Narendra Damodar Das." AAP demanded to see the affidavit used to change the name before the Prime Minister's post graduation. 2. The year mentioned in the graduation mark sheet is 1977, while the degree shows it to be 1978. Delhi Chief Minister Arvind Kejriwal urged Prime Minister Narendra Modi to make public proof of his educational qualifications and also condemned the Information Commission for allegedly aiding Modi in concealing his educational qualifications. He also wrote to the CIC requesting them to make the Prime Minister's degree public. Central Information Commission issued an order directing the Prime Minister to disclose his educational degrees. 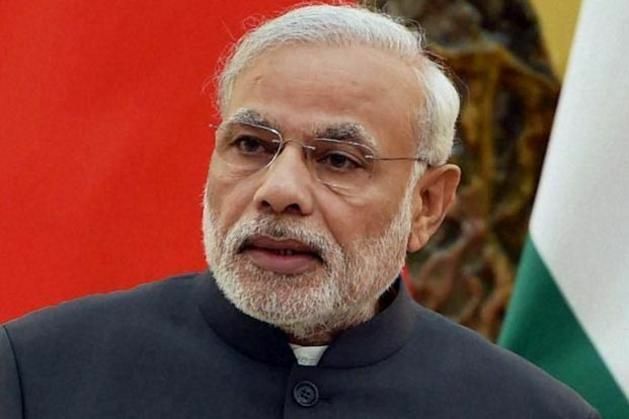 The Delhi and Gujarat universities have been asked to disclose the Prime Minister's degrees. CM Kejriwal had earlier said that he was ready to put all his details in public domain. He also demanded to know why the apex information body did not apply the same rule to secure information on Modi's educational qualifications - which has been a matter of public interest for a long time. When Modi's degrees were not released even after the CIC order, Arvind Kejriwal wrote to the Vice-Chancellor of Delhi University, asking him to put the PM's educational degrees on the website. Various media reports suggest that some of the Aam Aadmi Party leaders - including Ashutosh, Raghav Chadha, and Ashish Khetan - met the Chief Public Information Officer (CPIO) of Delhi University, Meenakshi Sahay, seeking evidence of PM Modi's graduation degree from the university. 9 May, 2016: Arvind Kejriwal calls the degree "Farzi"
The Bharatiya Janata Party has not yet responded to Aam Aadmi Party's allegation against PM Modi's degrees. However, Arvind Kejriwal yet again took to Twitter on 9 May asking whether Delhi University had sealed Modi's degrees. He also called the degrees "Farzi" and called for inspection. Meanwhile, The Delhi University Vice Chancellor, Yogesh Tyagi denied the allegations and told PTI that he had not issued any order to seal Prime Minister's Ministers records.